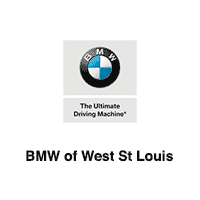 Keep your BMW running long after leaving our lot with the help of the BMW of West St Louis Service Department. Curious about how to rotate tires at home, how to check your oil, or when you need brake repairs? We can help! Keeping track of car maintenance can be exhausting, with everything from transmission flushes to serpentine belt replacements. Read through our service tips and tricks, and feel free to contact us today with any questions or concerns you have! We’ll keep you informed on all things BMW service as your Manchester, MO auto repair center of choice.